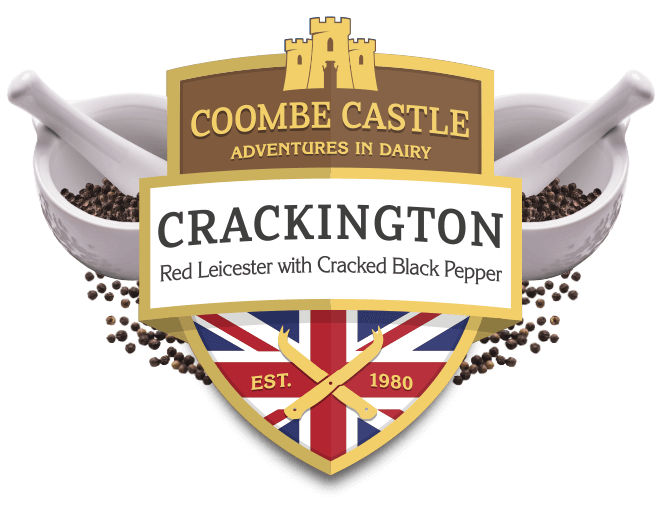 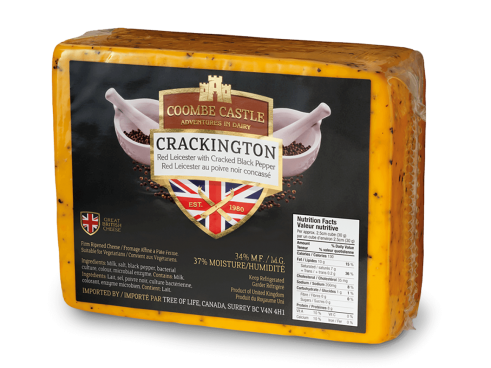 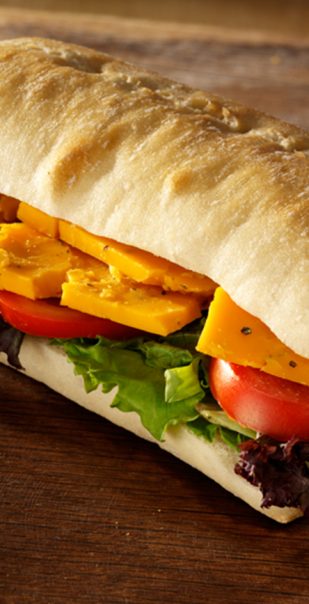 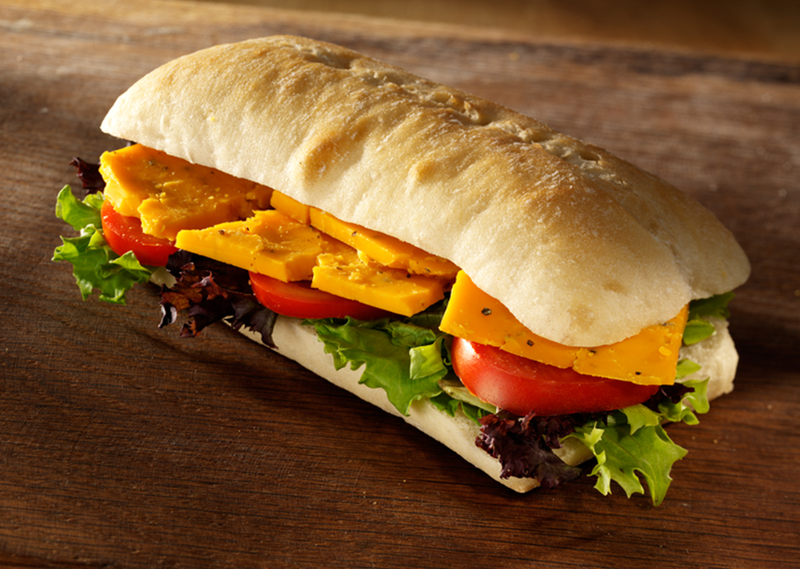 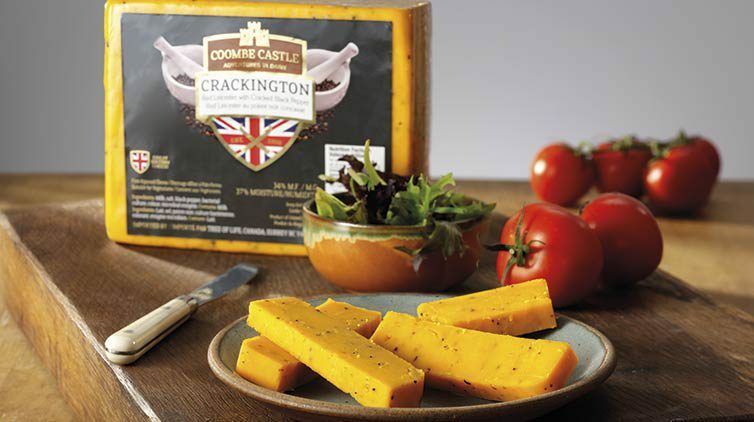 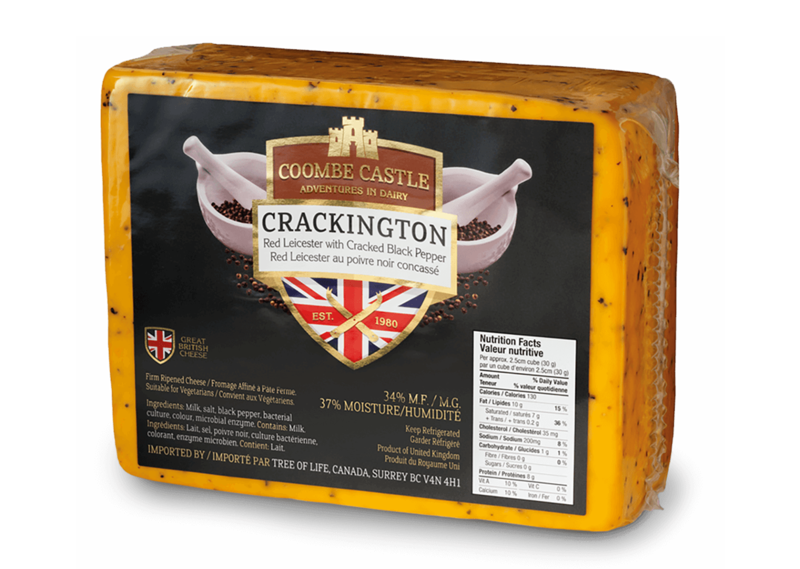 Crackington, one of our newest ventures, combines the sweet nutty flavour of Red Leicester with cracked black pepper, giving an added bite to the creamy texture. 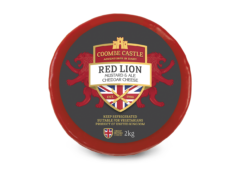 A real showstopper as part of a cheeseboard! 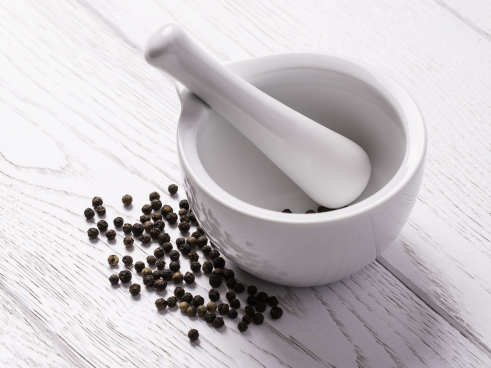 Milk, Salt, Black pepper, Bacterial culture, Colour, Microbial enzyme.